On the one hand, personalization and the ability to recognize how each and every student learns differently will have profoundly positive impacts on society in the years and decades ahead. On the other hand, our kids are increasingly addicted to their screens and far too often prioritize virtual worlds over real-life interactions. What if we used the very screens and digital resources that promote antisocial behavior (and frequently contribute to bullying) as a vehicle to bring more real-world interactions into our elementary school classrooms? Further, what if these interactions were global and fortified with a curriculum focused on empathy and an appreciation and celebration of the differences in others? Properly curated and coordinated virtual exchange classrooms are a good place to start. Here, screens serve as lenses to observe life on the other side of the world. How can students in Chicago, for instance, learn how communities in Mexico City are dealing with issues like water and resource scarcity? Rather than reading a textbook or watching a video, screens and network connections integrated with unit planning and curriculum resources can enable students to teach and learn from each other. Along the way, students organically develop authentic relationships and perspectives. One such resource is Empatico. Incubated by The KIND Foundation, Empatico is a free online learning tool that aims to broaden kids’ world views and promote empathy through meaningful interactions with peers. The nonprofit organization aims to connect 1 million primary-aged students through virtual exchange classroom experiences. Beyond establishing digital connections with classrooms, often times on the other side of the world, teachers are supported with resources to not only optimize the experience for their students, but also to help them further develop professionally by becoming evangelists for empathy both inside and outside of their schools. In partnership with Participate, Empatico is inviting primary school teachers from all over the world to become Empathy Fellows. This blended and free professional development experience includes participation in a community of educators from all over the world who are looking for creative ways to establish empathetic mindsets with their students, classrooms, and schools. 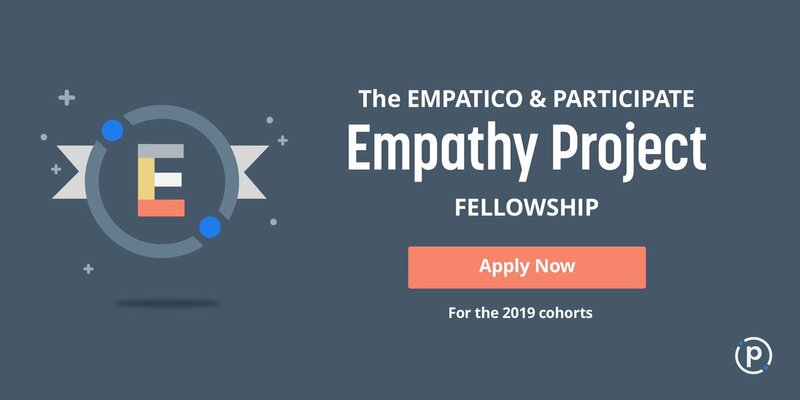 Space remains in the upcoming cohorts of the Empathy Project Fellowship in 2019, with limited availability remaining for the next Fellowship, which launches on January 30. If you are interested in sharing this opportunity with your colleagues, leadership team, and primary school teachers, you can find more information about school-wide opportunities here. You can also email me at [email protected]. Comments on "Create Cultures of Empathy Through Connected Classrooms"